Embroidery Club is open to all who are interested in machine embroidery. Each month, club-goers are invited to bring their latest "masterpieces" for show and tell. We always have an exciting new project that comes complete with a handout and kit. 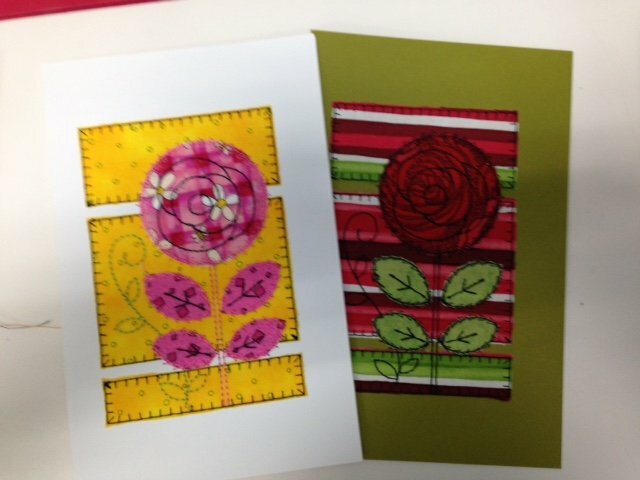 April 12th features Applique Greeing Cards! The design is by OESD and fits in a 5"x7" hoop.